Irish/Scottish outfit Snow Patrol have announced two very special one-off Australian acoustic shows from late September. 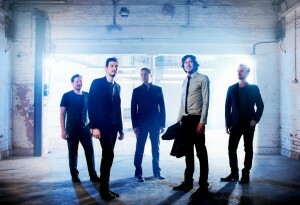 The band has made a big international name for themselves, particularly across the past decade. Their 2006 album ‘Eyes Open’ hit No.1 here in Australia, sold four times platinum and spawned the global smash ‘Chasing Cars’. Now they’re heading to Sydney and Melbourne for the two intimate performances which are set to showcase tracks from throughout the band’s discography, along with tracks from their most recent album ‘Fallen Empires’, released at the end of last year. Tickets for both dates are on general sale on Thursday July 19, but with two shows only and pre-sale live from Monday July 16 at 9am, it’s anticipated the shows will be almost sold out before general admission hits.